Google and Motorola don't seem particularly interested in MicroSD cards these days, but most of the other manufacturers have at least some phones and tablets that still offer expandable storage. 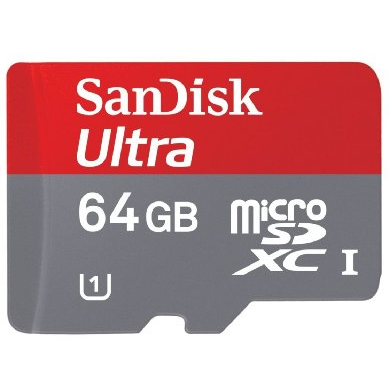 If you'd like to pick up a capacious card for your Android device (or anything else), Amazon is offering SanDisk models at a significant discount. This isn't a Gold Box deal, but it is Cyber Monday, so the prices may be good for today only. If you're a bit low on cash, the 16GB SanDisk card is just $9.99, a solid 50% off the current retail price. For a bit of perspective, 16GB is juuuust big enough to cram every audiobook in Terry Pratchett's Discworld series on there so you don't have to stream it. The 32GB MicroSD card (which retails for $69.99) is on sale for $16.99, a whopping 76% off. That's big enough to carry the entire pirated music collection of a Generation Y college student. And the 64GB card, which can hold all your files plus 10,000 high-resolution image files of your kitchen sink, is on sale for $34.95. That's 65% off the $100 retail price. These are the best prices we've ever seen for these particular cards. All three of these cards have Class 10 UHS-1 speed certifications, which basically means you can throw them in a high-quality camera and shoot to your heart's content without fearing that they'll slow it down. They're all eligible for Amazon Prime shipping as well, and while they might not fly to your doorstep, they'll get there in a couple of days for free if you're a Prime member. You might want to get an order in quickly: cards could go out of stock at this price.